This website is the trade representative organisation for registered manufacturers, suppliers and contractors in the UK of tanking products, such as cavity drain membranes for protection of basement & cellar structures against water from the ground. 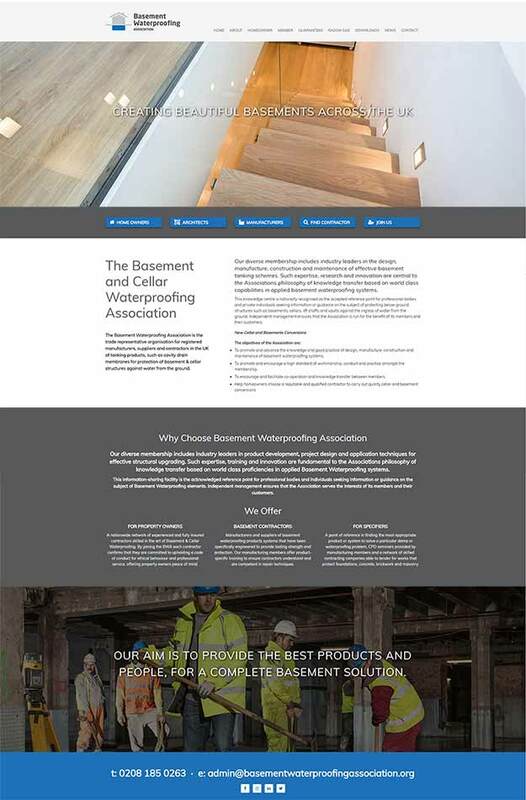 Our diverse membership includes industry leaders in the design, manufacture, construction and maintenance of effective basement tanking schemes. Such expertise, research and innovation are central to the Associations philosophy of knowledge transfer based on world class capabilities in applied basement waterproofing systems. This knowledge centre is nationally recognised as the accepted reference point for professional bodies and private individuals seeking information or guidance on the subject of protecting below ground structures such as basements, cellars, lift shafts and vaults against the ingress of water from the ground. Independent management ensures that the Association is run for the benefit of its members and their customers.